Nintendo has a long (like, real long) history with arcade gaming, a tradition that's continued into recent times with stuff like F-Zero and Mario Kart. But those are two games you would expect to see in an arcade. 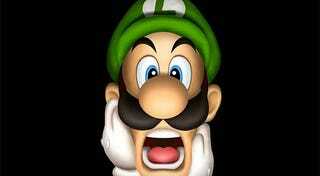 Nintendo's latest arcade title, Luigi's Mansion, is not. Yup. Luigi's Mansion. Nintendo has handed the GameCube and 3DS series off to Capcom, who are currently testing it in Japanese arcades. Given the type of cabinet being used, Arcade Heroes speculates that this Luigi's Mansion will actually be a new title, and a light gun one at that.